This bracelet brings to mind the characteristic flowers and fruity treats of warm weather! 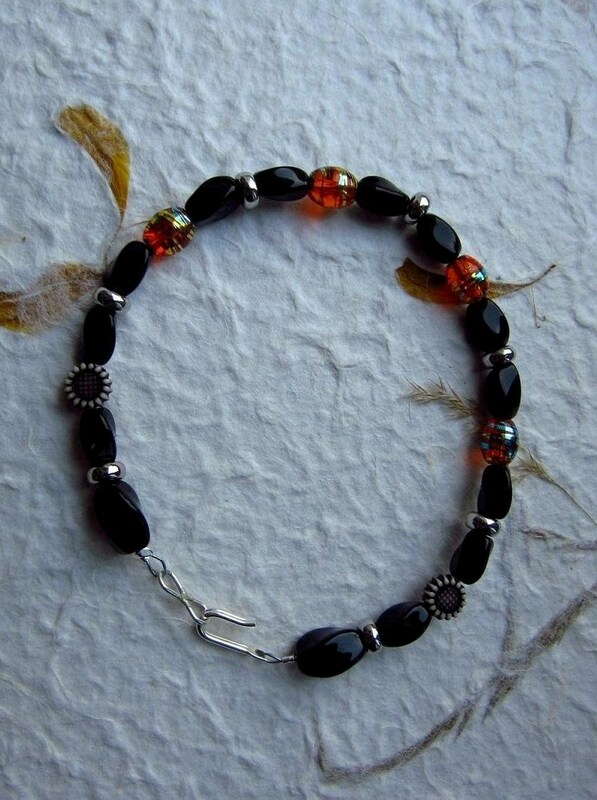 It is made with black glass and silver-toned spacer beads to make the foil-wrapped orange glass beads really pop! 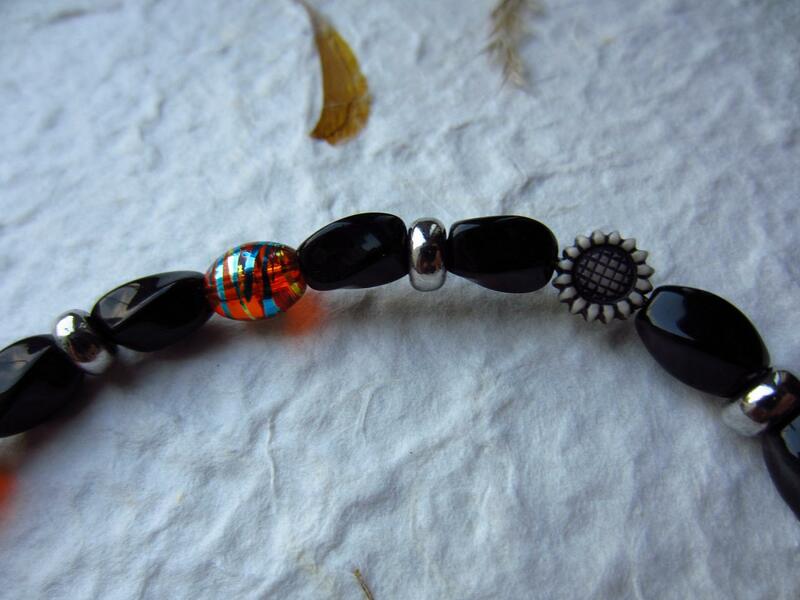 Also featuring resin sunflower beads, this piece really speaks to the themes of summer. It fastens with a simple hook and loop clasp and measures approximately 9 inches around.